Whenever I go to Ruby Tuesday or The Red Lobster restaurant, I always look forward to their cheesy herb biscuits. I decided to try and make an approximation of them that would not break my calorie bank. These biscuits are savory and slightly rich but have far less calories than the restaurant version. These biscuits are very tasty and make a great side for a savory stew or soup and also go well with any casserole. The buttermilk adds a nice tang to the recipe and goes very well with the tarragon. I used reduced fat Cabot cheddar cheese to lighten the calories. Cabot is my favorite brand of reduced fat cheese because it tastes delicious and you can cook easily with it because it spreads and also melts well during cooking. Tarragon adds a nice licorice touch to the parsley and chives. It makes a very tasty biscuit. Be careful not to add too much salt. I added 1 tsp at first and it was too much for my tastes. Even thought these biscuits have been lightened up, the flavor is there because of the use of buttermilk and a blend of parsley, chives and tarragon. They have a mild cheesy flavor with a tangy fresh herb taste that I really enjoyed. This recipe makes 12 full sized biscuits. Each one has 135 calories, with just 3 grams of sugar. Each biscuit is 5 Weight Watchers Smart Points. 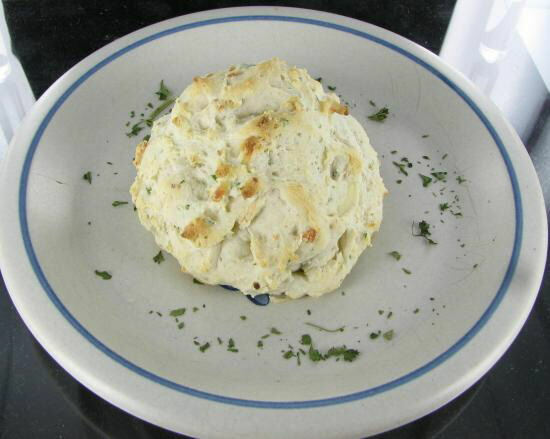 In contrast, the Red Lobster biscuit is quite a bit smaller and has 160 calories. This fresh herb is one that you might not have found very often. I search for it each year when it’s time to plant my herb garden in the spring and it is not as readily available as common herbs such as basil, oregano and parsley. But it is well worth searching out. Tarragon has a hint of licorice to it and adds a lovely touch to many foods. I use it often to cook chicken breasts or fish. Tarragon is also known as estragon. It is a perennial herb from the sunflower family. 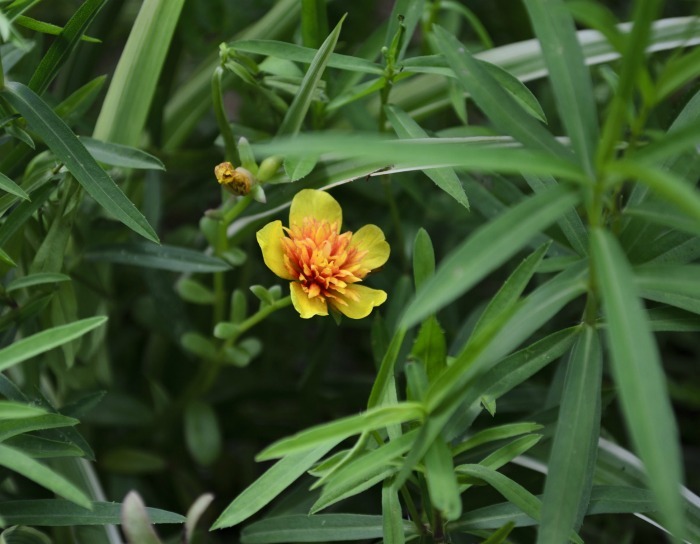 The plant is commonly used and grows wild across much of Europe and North American. It is often used in French cooking and has health benefits, as well. 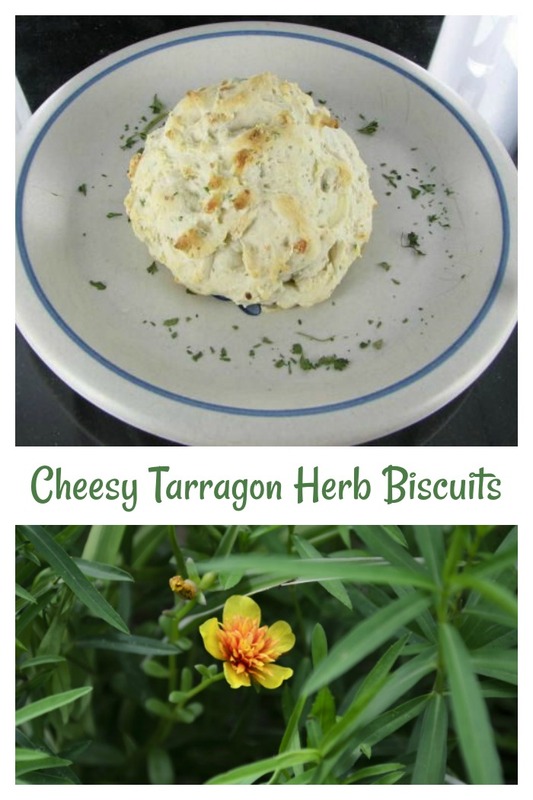 Would you like a reminder of this recipe for cheesy herb biscuits with Tarragon? Just pin this image to one of your food boards on Pinterest, so that you can easily find it later. 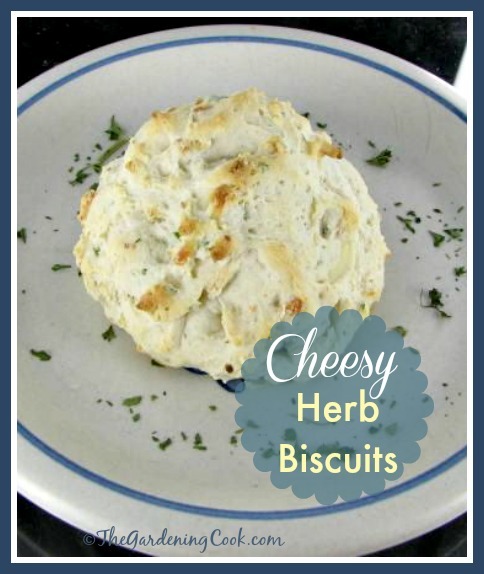 These cheesy herb biscuits have a hint of licorice flavor from the addition of tarragon. I've used a low fat cheese to lighten them up. In a large bowl, mix together the flour, baking powder, sugar, and salt. Add the fresh herbs and mix well. Grate the cheese and add with the buttermilk and butter to the dry ingredients. Drop onto the parchment paper and cook for 18-20 minutes until golden. Tip: an ice cream scoop makes a great way to drop the dough onto the baking tray.